Key Difference: Nokia has recently announced its new flagship phone the Nokia Lumia 925. The phone comes with a 4.5-inch AMOLED capacitive touch screen which takes up a good amount of space on the front, with the speaker and sensors on the top. The 4.5-inch capacitive screen has the same PureMotion HD+, ClearBlack that is found in Lumia 920. 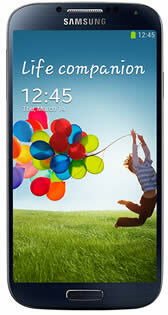 Samsung Galaxy S4 is the successor to the very popular Samsung Galaxy S3. The company boasts new features into a slightly smaller and sleeker design. The phone’s screen has been increased to a stunning almost 5 inches with only slight decrease in size of the phone. The screen is a full HD Super AMOLED capacitive touchscreen that provides a greater resolution of 1080 pixels, almost 441ppi density. 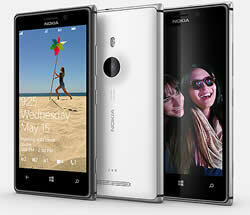 Nokia has recently announced its new flagship phone the Nokia Lumia 925. This phone is in lines with the other new Nokia Lumia 928, but differs from its cousin in many ways. The Nokia Lumia 925 was also known as “Catwalk” phone for a long time before it was officially announced. The company has maintained a similar design to its Lumia phones but has added a metal band. This is the first phone that will feature a mix of plastic and metal. However, the back is still made of polycarbonate plastic. The phone is made slim and light weight making it comfortable to hold. The phone’s frame is made of aluminum with only the back made of plastic. However, the back is non-removable so the battery is not easily accessible. The device is available in black, white or grey, so don’t look for the bright colors that are expected of other Nokia phones. The phones comes with a 4.5-inch AMOLED capacitive touch screen which takes up a good amount of space on the front, with the speaker and sensors on the top and the three capacitive buttons (Home, Back and Menu) on the bottom. Similar to the other high-end Lumias, the top of the device holds audio jack, the microUSB port and the SIM slot. The left and the bottom side of the device is bare, while the right side has the volume rocker, the power button and the dedicated camera button making it a little too crowded. The 4.5-inch capacitive screen has the same PureMotion HD+, ClearBlack that is found in Lumia 920. The ClearBlack technology plus the HD OLED screen offers sharp, clear images and also spectacular viewing in sunlight. The phones provides a good contrast and vibrant colors but the difference is not really that apparent when using day-to-day. Under the hood, the phone is powered by Dual-core 1.5 GHz Krait Qualcomm MSM8960 Snapdragon, the same processor used in Lumia 920 and 928. The processor is fast and responsive, but lags when it comes to camera. The phone comes with Adreno 225 and 1 GB RAM, compared to the 2G found in its competitors. The phone comes with only 16 GB internal memory and does not offer users to extend it using an external card. The phone integrates the Windows Phone 8 OS, which works seamlessly. However, again similar to all other Windows Phones, the app stores lack many apps and still has yet to reach its potential. The phone comes with an 8.7MP rear camera and a 1.3MP front camera. The camera comes with upgraded technology that uses a 1/3'' sensor size to take more high-res photos. The camera also comes with Nokia’s Smart Camera technology that allows taking 10 photos at once, which can then be altered to create the perfect photo. This is similar to the Zoe technology found on HTC One that takes mini videos along with photos. The company has also added an additional lens on the five-lens that allows taking much better photos. Nokia also boasts about its low-light imaging technology that allows users to take excellent photos in low-lighting conditions. The imaging technology is quite superior and does take excellent images with less blur. However, the camera shutter is quite slow which requires the user to hold the phone with a steady hand to eliminate motion blur. The company also has removed the built-in wireless feature to cut down on the weight, but has added it as an option by purchasing the wireless cover. The phone comes with a non-removable Li-Ion 2000 mAh battery that allows the phone to go longer periods of time without requiring charging. The phone also comes with a few nifty features that make it stand out. The new phone is slick, thin and has decent features. It could just be phone that turns the tide in favor of Nokia Windows Phone. The information for the detailed table about the two phones has been taken from the Nokia website, Samsung Mobile website, knowyourmobile.com, expertreviews.co.uk and GSMArena.com.